I have a confession to make: I really like to paint. Like, a lot. 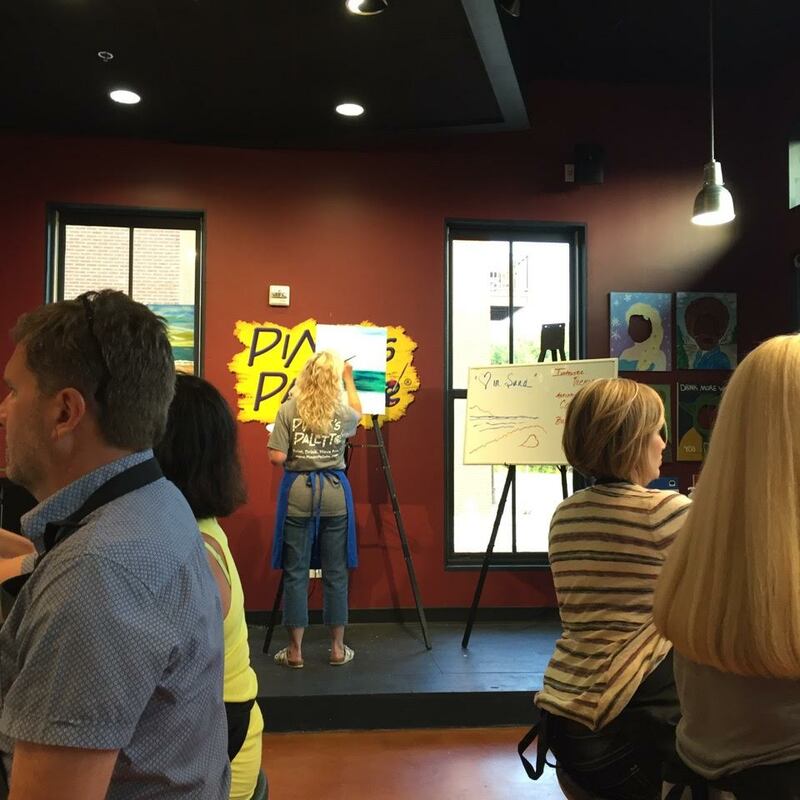 So when I heard there was a new painting experience to be had in Huntsville, I was beyond excited. And let me tell you, it did not disappoint. 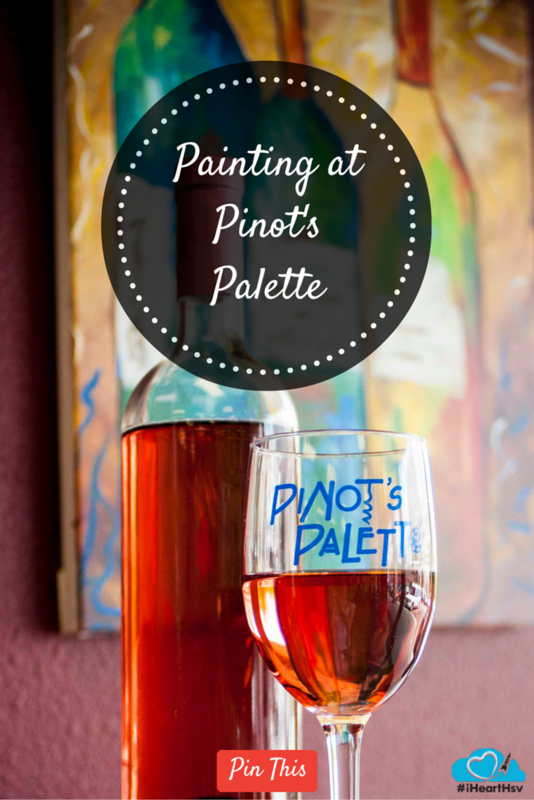 Pinot’s Palette was tons of fun. 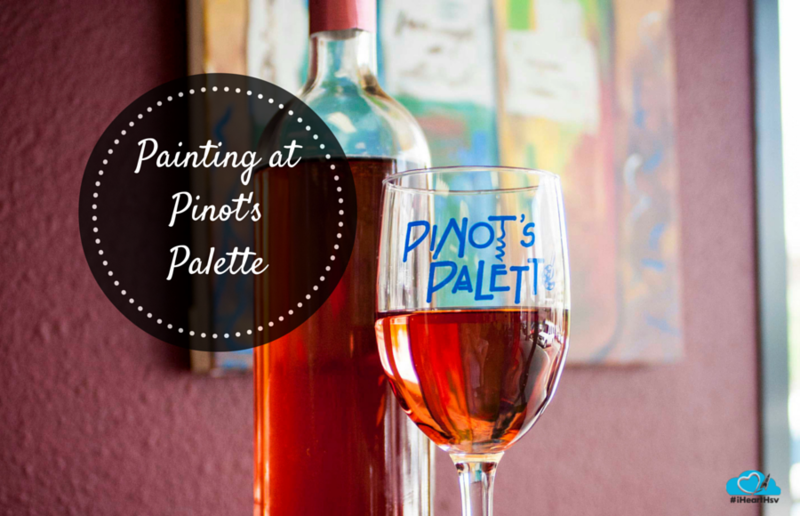 Located in the cozy Village of Providence, Pinot’s Palette is perfectly situated for an artsy date night or evening with friends. They even have family nights! The whole atmosphere was very laid back and all of the staff were super friendly and helpful. 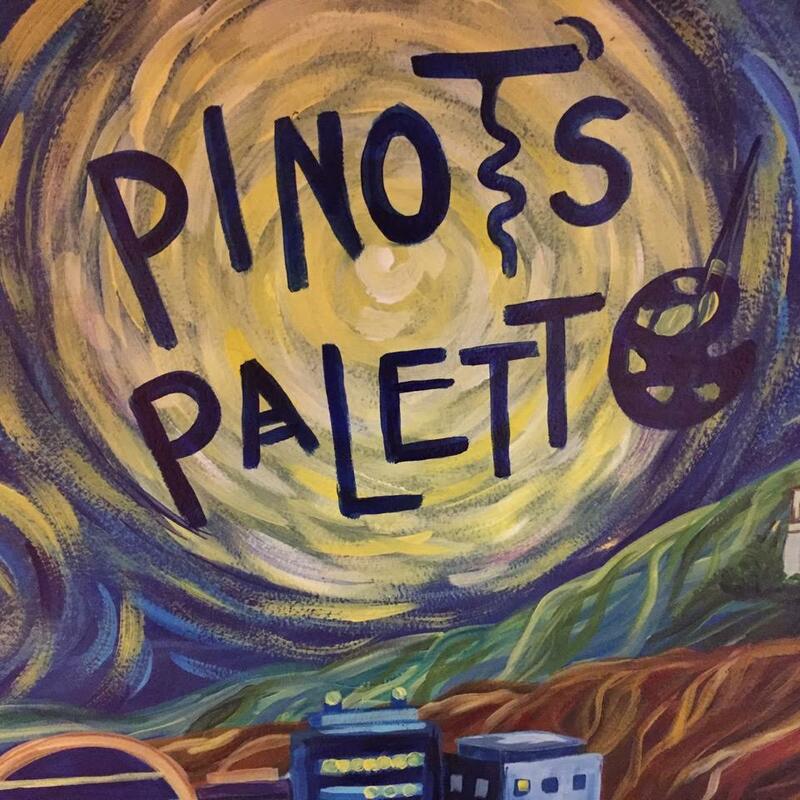 Pinot’s features its own bar stocked with both alcoholic and non-alcoholic choices, so don’t worry about having to bring your own refreshments. And very exciting--- they offer several chances to win free sessions or if you sign up for another session that evening, you get $10 off. I loved how spacious the set up was. When you check-in, you are pointed to your designated painting spot with your name written in chalk on the table, which made me really happy! 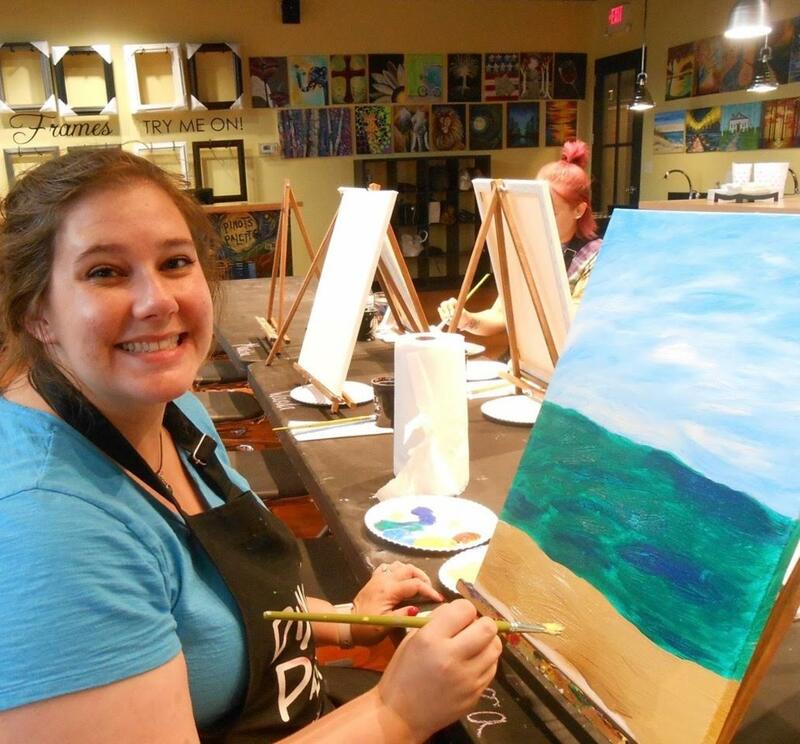 I have had good experiences with instructors at other paint evenings around town and they all share similarities (right down the to “don’t drink the paint water” bit) but I really enjoyed how personable our instructor for the night, Vickie, was. She talked throughout the lesson, told us a bit about where she was from. The whole thing felt more like a friend teaching you how to paint than a teacher. And although I had doubts that my painting would look even remotely like the example, Vickie was able to provide enough guidance that I actually am quite proud of my painting (which I promptly made my husband hang up so we both can admire how great it is). 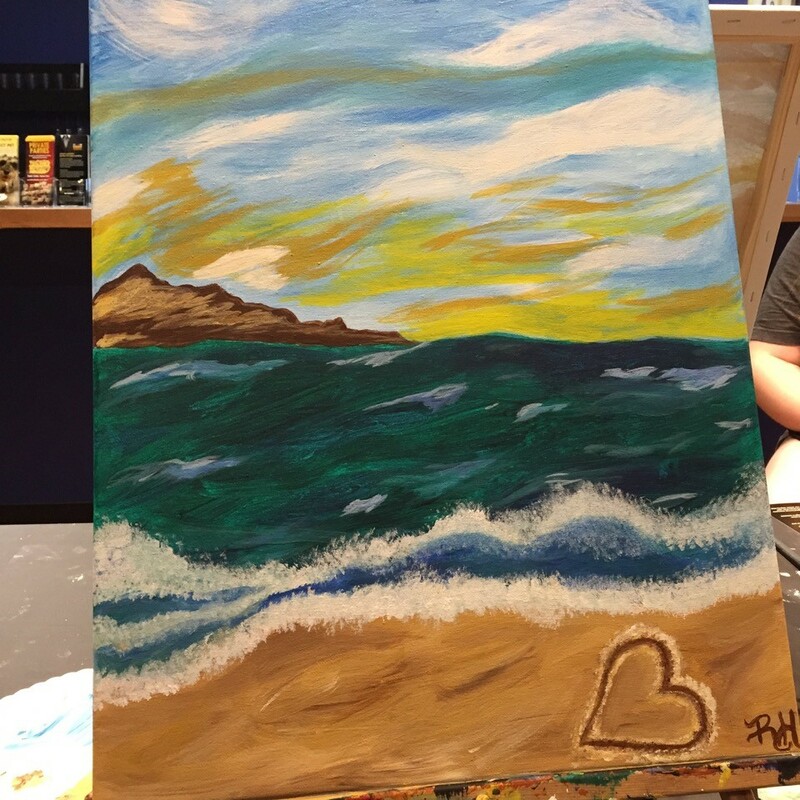 Since they say that a picture is worth a whole bunch of words, here&apos;s a couple to showcase the creation of my beachy masterpiece with the help of Pinot’s Palette. Happy painting! Although not born nor raised in Huntsville, being a generally smart lady, Rebecca high-tailed it here as quickly as she could. She graduated from Auburn University with a bachelor’s in history and with a giant crush on the “stuff” of history, whether in a museum or a historic site. 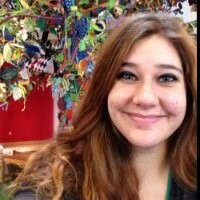 Most of her waking hours involve working in museum education for the U.S. Space and Rocket Center. Like any good child of the South, she loves storytelling, which she considers an art form. Rebecca enjoys sharing Huntsville’s tales to anyone who will listen whether during Huntsville Ghost Walks, conducting tours of the Huntsville Depot, leading Breakfast Trolley tours or bringing history to life during the Cemetery Stroll. She is also a member of the Huntsville-Madison County Historical Society and the Huntsville Historic Marker Committee.